A story about two friends who discover why sometimes, the best things can be hidden behind an unwelcome exterior. 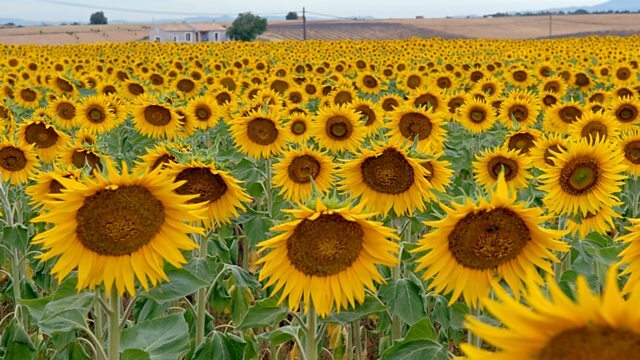 Sunflowers Behind A Dirty Fence is the first of the two winning plays in the 23rd International Playwriting Competition which is run by BBC World Service and the British Council, in partnership with Commonwealth Writers. The winner of English as a second language category, Angella Emurwon’s play, was described by the judges as "a touching, purposeful adventure in which the characters jumped straight off the page". Young Yakobo has never been in trouble before – but now he's lost his grandfather's favourite photo and, in his desperation to make things right, he decides to take an ill-advised trip to the big city of Kampala. Yakobo's never been away from the comforts of home before and has no idea about many things. Reluctantly joining forces with the street urchin, Tonnie, together they topple in and out of bizarre adventures and discover why good people sometimes do bad things. Like sunflowers behind a dirty fence, the two friends are to find that sometimes the best things can be hidden behind an unwelcome exterior. With Arnold Oceng as Yakobo, Vanessa Babirye as Tonnie, Jude Akuwudike as Boss, Cyril Nri as Grandpa, Chike Okonkwo as Askari and Angela Wynter as Mamma and the Cook. International Playwriting Competition Award Ceremony at Marlborough House in London. Listen to the winning radio dramas by Angella Emwuron and Janet Morrison.